A vegetarian and vegan food scene has been spreading in the world for quite some time now, and a cosmopolitan city like Barcelona is no exception. With such a variety of fresh fruit and veggies, vegetarians and vegans will have no difficulty enjoying the Catalan capital to the fullest! 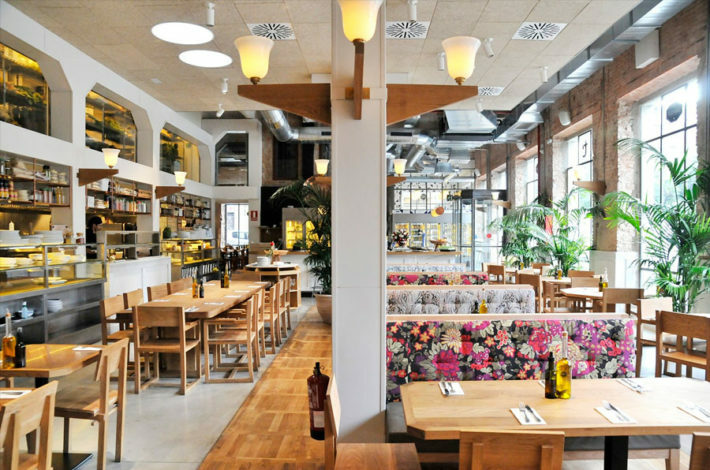 The first vegetarian restaurant in the historic center of Barcelona, now opened in Gothic Quarter, El Raval, and Born – Vegetalia. All of the products they use are organic, and vegetables come to the plates straight from their local eco-garden. Vegetalia serves local and international vegetarian dishes with possible vegan options – find affordable daily sets as well as an extensive menu including starters, main dishes, pizzas, “vegeburgers” and much more! They are all about tasty, healthy and sustainable food and can be found in 3 centrally located spaces. Flax & Kale Tallers – “The first healthy flexitarian restaurant in Barcelona”, where 80% of the meals are plant-based with the remaining 20% containing oily fish. Flax & Kale Passage – with a motto “Should we repeat or innovate?” they indeed chose the latter, offering many more modern vegetarian options, most important of which just might be the gluten-free pizza cooked in a traditional Neapolitan oven. Flax & Kale à porter is a place where fashion and food meet. Located in H&M Flagship Store itself in Passeig de Gràcia, this is the perfect spot to grab a healthy snack and coffee on the go! As Flax & Kale says, “Eat better, be happier, live longer”! Located in El Raval, Teresa Carles is a very unique restaurant as well as a VMAHT food brand (Vegetarian, Mediterranean, Artisanal, Healthy, Tasty). 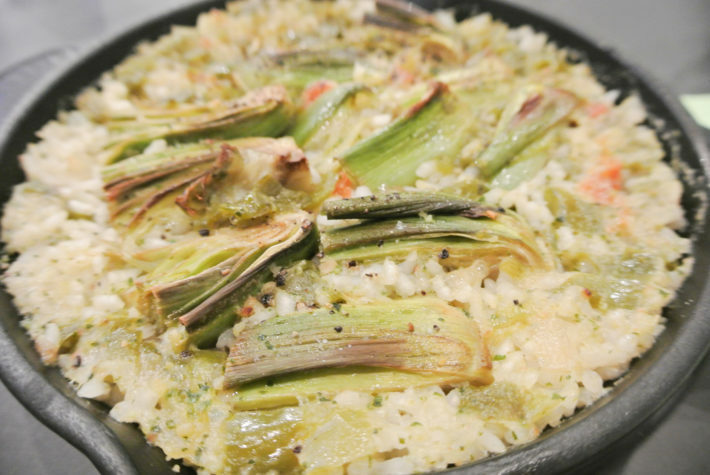 As the owner comes from a Catalan family, the menu features traditional Catalan cuisine – her goal is to recreate the homely recipes of her family into the healthiest vegetarian versions and make more people interested in the vegetarian lifestyle. 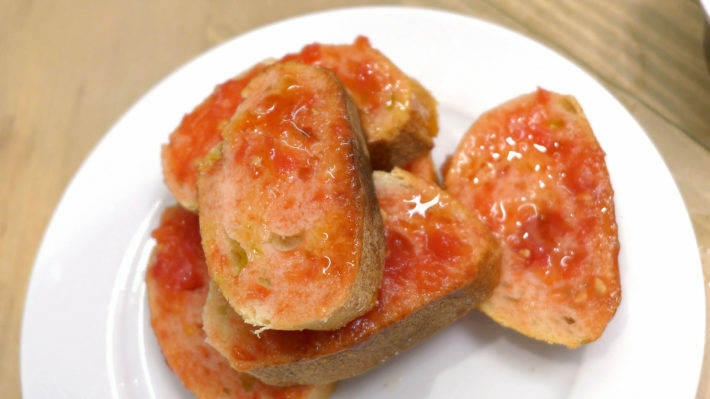 That’s why in Teresa Carles you will find various organic products, except meat and fish. A crowd favorite, Aguaribay shows off a Mexican, Japanese and Spanish fusion. The vegetarian restaurant is located in the hip area of Poblenou near the beach and offers vegan and gluten-free options as well. Aguaribay has great value daily lunch sets as well as a small à la carte menu featuring international fusion with very creative and nutritious meals. A selection of craft beer and biodynamic wine is available there. Rasoterra stands for the Slow Food movement in Barcelona, using local, seasonal produce and preparing quality vegetarian and vegan cuisine. The old and traditional recipes are reinvented with some innovative twists. People in Rasoterra are all about gathering around the table and sharing, which is why you are encouraged to order a couple of dishes for the table and share! The digital food brand Epicurious says: “This new vegetarian restaurant is so good, it’s pulling in carnivores too.” Need I say more? These featured restaurants – crowd favorites – are loved by both vegetarians/vegans and not. No matter if you are craving some all-time classics or recipes with a twist, you will surely find a spot for you here in Barcelona!